FireKing fire proof files carry the Underwriters Laboratories (UL) label on their insulated records protection equipment, the product must meet or exceed the UL 72 testing standards. UL Impact Rating - The UL Impact Rating is equivalent to a fall from a three story building. 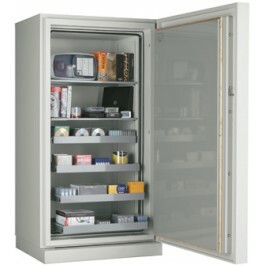 FireKing fireproof lateral filing cabinets carry the UL 350 1-hour fire rating. After a product has passed the Fire Endurance Test, another sample of the same product may be tested for fire and impact. For this test, the sample is prepared in the same manner as for the two previous tests. The test furnace is left empty and heated to 2000°F. The testers quickly open the door and insert the sample. For 30 minutes (20 minutes for units rated ½ hour), the furnace is kept at 2000°F. If no explosion takes place, the sample remains in the furnace until it cools sufficiently to handle. Sprinklers and fire hoses often cause more damage than the fire itself. 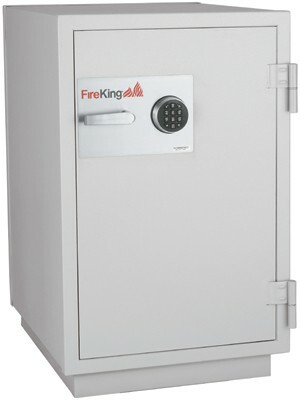 All FireKing files are designed to prevent water damage resulting from water sprinkler systems and fire hoses. 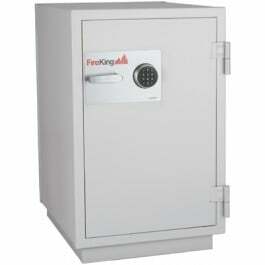 FireKing, the best records protection you can buy, will protect your documents from fire disaster.